The Whaler Table is about table top. 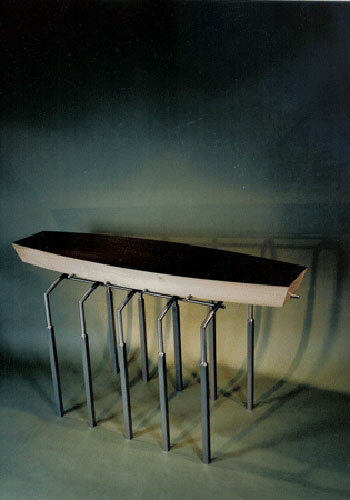 The steel tube and bar frame supports the function of the table that allows the placement of an object on its surface. The object in this case is the table top itself, a carved plank of solid wood.